A recent court order in a case in Iowa reminded me of how easy it is for employers to waive the attorney-client privilege by disclosing (deliberately or inadvertently) the advice they receive from their attorneys. The order shows that a careless reference indicating that a decision was based on the “advice of counsel” opened the door and required the disclosure of conversations between the attorney and the client. Whitney v. Franklin General Hospital (U.S. District Court for the Northern District of Iowa, Ruling on Motion to Quash, April 23, 2015). 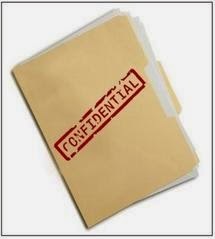 One of the oldest recognized privileges for confidential information is the attorney-client privilege. The privilege protects communications between the client and the attorney and keeps those communications confidential. The attorney-client privilege is based on the premise that by assuring confidentiality, the privilege will encourage clients to make full and frank disclosures to their attorneys. As a result, attorneys are better able to provide candid advice and effective representation to the client. 1. The client or attorney discloses the communication to others: You are working with your attorney on a termination of employment and the preparation of a Separation Agreement for a problem employee. In an email, your attorney reviewed the facts relating to the termination and the potential risks of the decision to terminate the employee. In addition, your attorney asks you for some pay information to complete the Agreement. You forward the email to your payroll company. Because the communication was sent to a third party the communication is most likely no longer privileged. 2. The communication is made in the presence of individuals who are neither the attorney nor the client: You are redecorating your offices. While in a meeting with your designer (who is not an employee of the company), you receive a telephone call from your attorney. Your attorney wants to discuss how you will be handling a reduction in force. You put the attorney on speaker phone so that you can continue to look at fabric samples with your designer. The designer remains in the room during the conversation. Because the designer is not an employee or agent of the company the privilege relating to the conversation may be lost. 3. The client provides information about what the attorney recommended: An ex-employee has filed a charge of discrimination with the Equal Employment Opportunity Commission. You decide that you can respond to the charge without consulting your attorney. In your response, you state that you considered options other than termination; however, your attorney recommended that you terminate the employee and, based on that advice, you terminated the employee. Instead of honoring the distinction between recommendations of counsel and the actual reasons for the employment decision (the recommendations of counsel are generally not the actual reasons for the termination) you may have lost the privilege. The attorney-client privilege is a valuable tool because it allows employers to reduce the risk of litigation by seeking advice from counsel who is familiar with the company, its policies, its operations, and its practices. The examples above illustrate how easy it is to waive the attorney-client privilege. Employers, and their attorneys, must be diligent in order to preserve the attorney-client privilege.